Buying a car seat for your baby is not an easy task. There are so many on the market! How do you know which one is the best fit for your baby, your budget, and your car? That's where we come in. We will review the 10 best convertible car seat options on the market today. By the end of this article, you will have a much better understanding of what type of car seat will work the best for you and your baby. A convertible car seat is a car seat that can be used from birth to elementary age in most cases. In this day and age, some car seats on the market can go from birth to age 10! A convertible car seat starts out rear facing for infants until about age 2 and then switches to forward facing for 2 years to about 6 or 7 years depending on the car seat. Some of the newest convertible car seats also go on to a booster mode that works from about age 6 to about age 10. A convertible car seat keeps your infant through elementary aged child restrained and safe in a moving automobile or airplane. 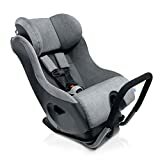 The best convertible car seat will provide a surround of protection that protects your infant and child's head, spine, and vital organs through padding, headrests and a 5 point harness. A rear-facing car seat protects infants through age 2 and forward facing car seats protect age 2 through 6. The 10 best convertible car seats on the market work by placing the seat in the back seat of your car and strapping the car seat down by using either the provided tethers or by using the cars seat belt system. What you use will depend on the car seats instructions and the weight of your child. For infants to when your child reaches 40lbs will almost always be able to use the tether system on the car seat. After 40lbs, many car seats suggest using the cars own seat belts to strap down the car seat. All of the 10 best convertible car seats can be purchased through Amazon. 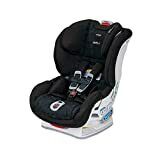 However, if you would like to see and test out the car seats in person then many Targets, Walmarts, and specialty baby shops have many of these car seats available for you to try in store. The 10 best convertible car seats range in price from about $100 on the low end to about $400 on the high end. Depending on your budget, what bells and whistles you need, and what features are important to you...like safety and crash ratings, the weight of the seat, and so forth will determine whether you're okay with spending a bit more money on a convertible car seat. We reviewed our top 10 best convertible car seats based on features of the seats, pros, and cons, price, ease of use, safety ratings and tons of research and reviews from real parents who have bought these seats. Based on the information we put together, we have made this unbiased opinion on the 10 car seats that we think are the best seats for your money and your child. The price range of the 10 best convertible car seats has a price range from budget-friendly and near $100 to expensive and around $400. The price range was factored into three categories: low price, average price, and high price. Below you can find an explanation of what to expect for each of the price ranges. The car seats in the low price range are going to be your budget-friendly seats. They may have very few bells and whistles if any. Most of the low price range seats are still very safe, but may not include such features as separate headrests, cup holders, and may not have the most luxurious fabrics. They still do the job of securing your infant just fine. These seats might be a good choice if a family needs several different seats, especially for families who might provide a seat for grandparents, both parents cars, and the nannies car. 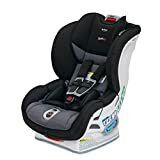 Car seats in the average price range are going to have a few bells and whistles and might have some added benefits such as wider weight ranges, booster modes, and nicer material options. They are a great option for families who want a nice seat that may last for a few kids but don't want to spend a fortune on a car seat. 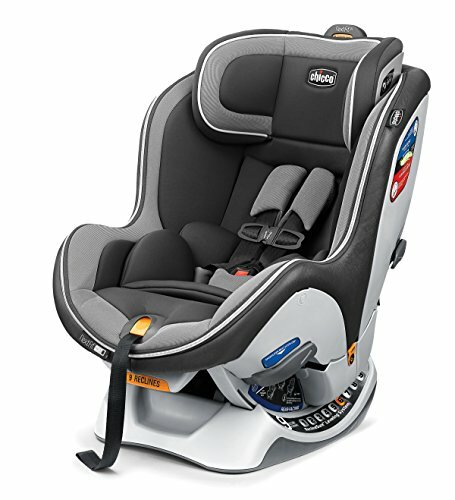 Car seats in the high price range are you Cadillacs of the car seats! These are the seats with the posh cozy fabrics, the highest weight and heights availability and features such as multiple reclining positions, leather seats, and cozy headrests. These seats normally have the highest safety ratings and the most favorable reviews from parents. If budget is not an issue, then these are the car seats for your family. 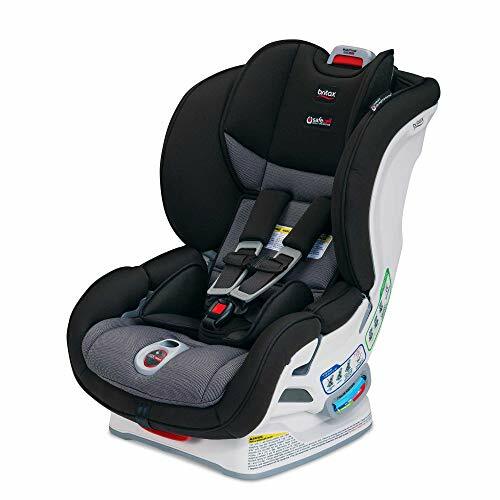 With a rear-facing weight limit of 5-40 pounds (and up to 49"), a forward-facing weight range of 20-65 pounds (and up to 49"), it is a great seat for your growing child. The seat features seat belt lock offs, adjustable crotch straps, 3 adjustable recline settings, and a 14-position no-rethread harness. An anti-rebound bar is available to purchase from Britax, but it does not come standard with this particular seat. What does come standard is a positioning pillow for children under 22 pounds. 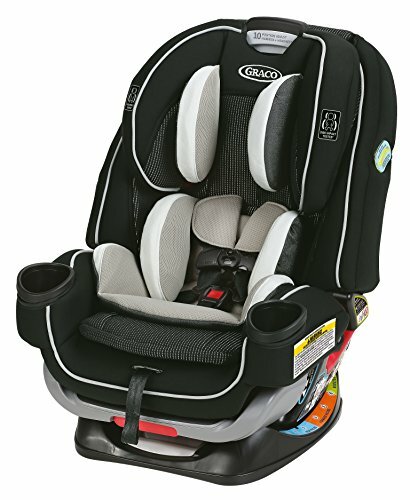 Graco ProtectPlus Engineered helps to protect your little one in frontal, side, rear and rollover crashes. One car seat that'll work from birth to big kid? Yes, please! The Graco 4Ever starts out as an infant rear-facing seat that can be used when your baby is just four pounds. Then, at age two, your toddler can sit forward facing from 20 to 65 pounds. Beyond that, it converts to a highback booster and then a backless booster that pairs with your car's seat belt until your child is up to 120 pounds and 57" (we know that's hard to imagine!). Other great features include a six-position recline, 10-position no-rethread harness, and two attached cup holders. You literally never need another seat! 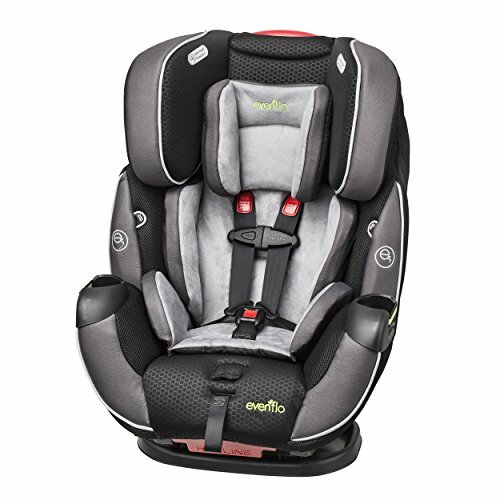 For children up to 65 pounds, the Chicco NextFit is a great convertible seat for parents who prioritize safety. The sturdiness inside gives way to a comfortable outside as well - it is truly the best of both worlds. 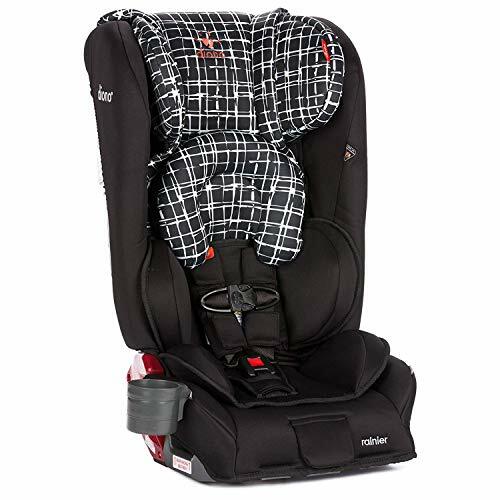 This seat is a fantastic choice for parents who want something that is a high-quality car seat for the years through preschool and early elementary school. Several exclusive safety and installation features like the ReclineSure 9-position leveling system make it both safe and easy to use for busy parents. This sleek, narrow seat helps families maximize backseat space (a hot commodity when you have kids!). The width is just under 17 inches, so you can comfortably fit three seats across the bench. Clek allows your little one to sit rear-facing longer, thanks to a 50-pound weight limit and extra tall seats. The Diono Radian rXT is another slim pick that allows you to fit three car seats across the back seat. The best part about this convertible car seat is that it can be used starting at birth and converts to a big-kid booster. The Radian rXT is made with a steel alloy frame; aluminum reinforced sidewalls, energy-absorbing EPS foam, and a reinforced adjustable head support. These safety features make it heavier, so you won't want to move it out of the car often. 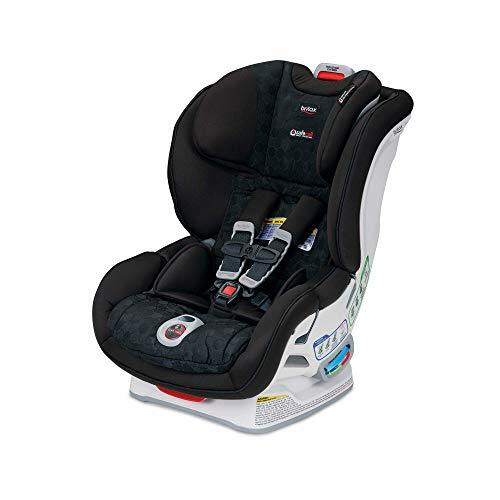 The Tribute LX doesn't have all the bells and whistles of other car seats, but it's definitely not lacking in the safety department (it meets or exceeds all Federal Safety Standards). 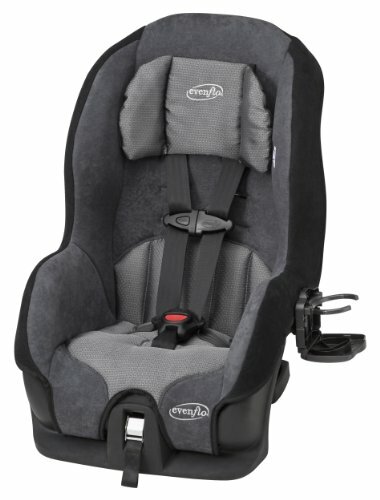 Lots of parents choose this as an affordable secondary car seat for a caregiver or grandparent's car. It's compact, has a removable cup holder, machine-washable pad and four shoulder-strap positions to adjust to growing tots. Only goes to 40lbs and 40inches which means you will have to buy another seat due to new car seat laws. The Britax Marathon is one of the best convertible seats that we've come across. From the many safety features to the 18 color/pattern options, it's a considerable but worthwhile investment. This seat fits children rear-facing from 5 - 40 pounds, and forward-facing from 20 - 65 pounds (up to 49" tall). Though it's not without a few flaws, the ease of installation and safety record far outweighs the negatives. Clicktight installation is a breeze to install! The Evenflo Symphony is an all-in-one convertible car seat with a lot of details that make it a winner for many parents, no matter their lifestyle. Features include a ton of side-impact protection, buckle pockets, FAA approval, a 5-position adjustable headrest, 3 recline positions, and many more. The weight limits are: 5-40 pounds for rear facing, 22-65 pounds for forward-facing, and 40-110 pounds in booster mode. With a 60-second installation, it's great for a busy, on-the-go family. Six color combinations are available. 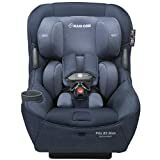 The Graco Extend2Fit is a winner on the car seat market, especially for its affordable price. The 50-pound rear-facing weight limit is one of the highest for the Graco line. It comes with 4-position leg extension, adding 5" of leg room for children who are a taller and low weight. Even better, the 10-position headrest allows for a great fit as your child grows. The seat itself has a 6-position recline as well. Included with this seat are Fuss Free Harness Storage Pockets, 2 crotch strap positions, steel reinforced frame, InRight LATCh system, two cup holders, and a machine washable cover. 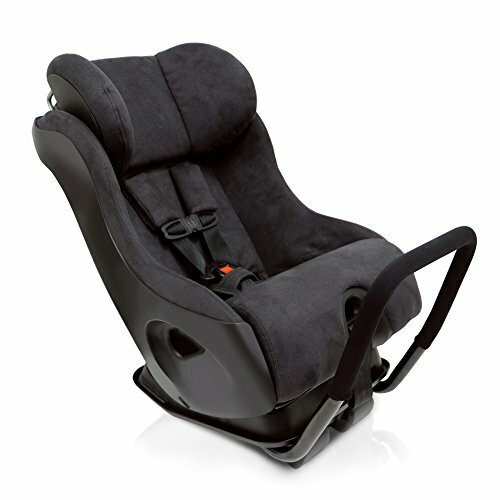 The Maxi Cosi Pria 85 Max is a fantastic seat that fits a wide range of children. In the rear-facing mode, it fits 5-40 pounds and 40 inches or less. In the forward-facing mode, it fits 22-85 pounds and 29-52 inches. The lower anchor weight limits are 40 pounds. The highest harness position is 17 inches, and the lowest harness position is 9 inches or 6.5 inches with the infant wedge. The seat comes with a 3-position crotch strap, 3 recline settings, a no-rethread harness, an easy to remove the cover, and 2 infant position inserts. It's designed to be safe while providing a super quick in-and-out process for on-the-go families. 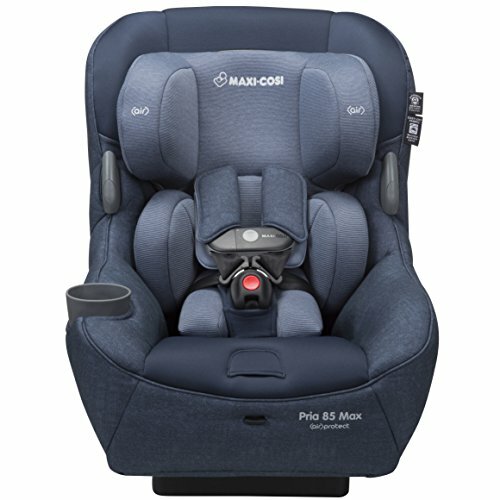 For the winner of the top 10 best convertible car seats, we chose the Maxi-Cosi Pria 85. Although this car seat is on the higher end of the price range, it literally has some of the best features. 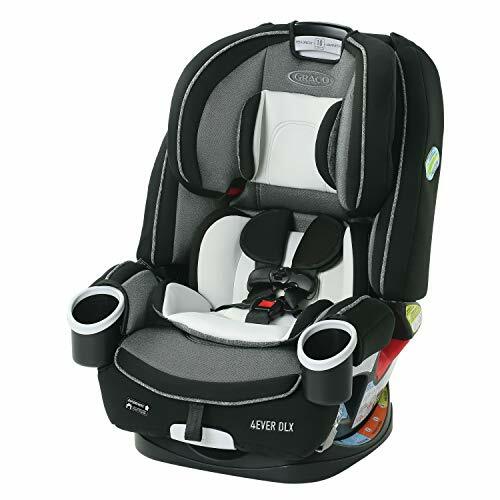 You can use this car seat from preemies til later elementary years with its 85lb weight capacity. It also includes not one, but two infant inserts and the cover is super easy to take off and on and is washable. If you choose this seat, it's literally the only seat you'll ever need. For us, this seat is well worth the investment!